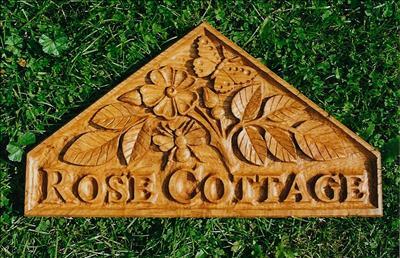 House sign carved in relief on oak. Finished with linseed oil. Designed to client's choice of subject matter and her requirement that it fitted on the cottage porch.